Photos and words by JOANNA ROMANO. Living in Melbourne, I am in the lucky position of being close to an endless supply of hikes, national parks and coastal adventures. This means that pretty much every weekend I get out on a trail. Last weekend was no different and I decided to head back to a personal favourite: Falcon’s Lookout. 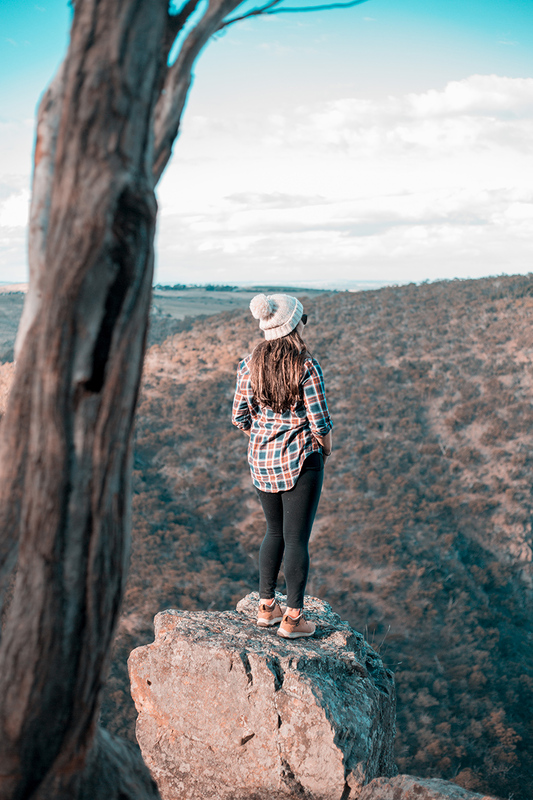 This is my go-to hike when I am looking to stretch my legs and get some fresh air as it is less than an hour from Melbourne, is only moderate in difficulty and has amazing views from the lookout. After turning off on to a dirt road, ditching the car and pulling on my Arrowood boots, I was ready to go. So down we headed, into the valley. Apart from the view at the end of the trail, my favourite thing about this hike is that you follow the base of a small valley, down, around and up. A steep and relatively barren descent is quickly met by a lush green section which sees you walking over rocks and tree roots. You need some grip on your boots for the gentle ascent through the trees before a final gravelly descent gets you near to the finish. 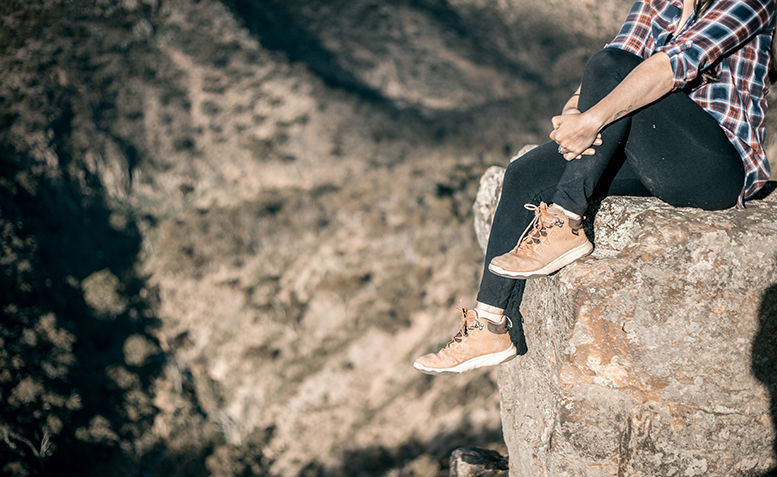 Shop the WOMEN'S ARROWOOD LUX MID WATERPROOF. "If you look carefully you will even see the skyscrapers of Melbourne in the distance, but you couldn’t really feel further away perched on the edge of a rock." The hike to Falcon’s lookout normally only takes me 35 to 40 minutes (allow slightly longer if you’re going slowly or are in a big group). As you reach the lookout, the vista opens up over Werribee Gorge below and the rolling hills in front of you. This spot is popular with climbers, with sheer cliffs that you will now be stood at the top of, so don’t be surprised to see a few people carrying their ropes and harnesses. 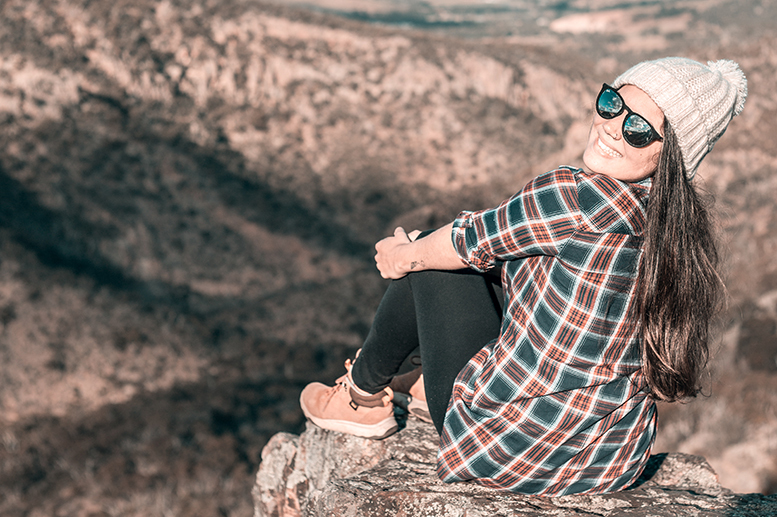 Despite the odd climber, you are very unlikely to be crowded out on this hike so allow enough time to really take in the peace and quiet while you gaze out over the valley below. If you look carefully you will even see the skyscrapers of Melbourne in the distance, but you couldn’t really feel further away perched on the edge of a rock. There are plenty of photo opportunities here, especially for those with a good head for heights. With sheer cliff faces dropping all the way down, if you’re brave enough you’ll get a shot that will scare your mum. Make sure you venture up beyond the initial area of the lookout to get a couple of different perspectives of the magnificent view. "With sheer cliff faces dropping all the way down, if you’re brave enough you’ll get a shot that will scare your mum." After finishing up lunch and taking time to enjoy the view, I headed back. As I hopped back in the car I felt completely energised and ready for another week in Melbourne - there is nothing like a bit of fresh trail air for that. 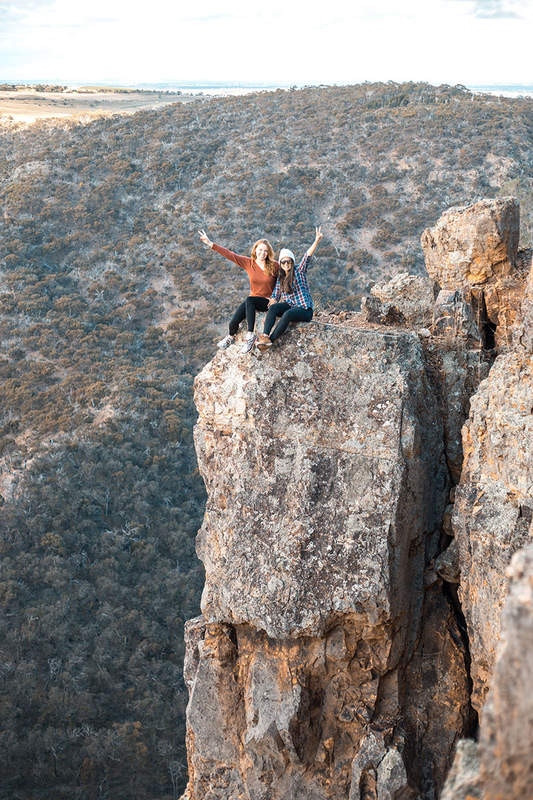 All in all, Falcon’s lookout is a must for anybody in Victoria, but luckily most people don’t come here so let’s just keep this our little secret - deal? The lookout is within Werribee Gorge Park. From the main street of Bacchus Marsh, follow the signs to Geelong and then turn right at the roundabout just before the railway line, onto Griffith Street. Turn right into McCormack Road after approximately 2km and after a further 2km, turn right into Ballan-Ingliston Road (aka Ironbark Road). You will cross a railway line after about 6 km and after a few hundred metres there is a small carpark on the right. The hike is signed from here. Find more from Joanna Romano at @fitbackpacker. 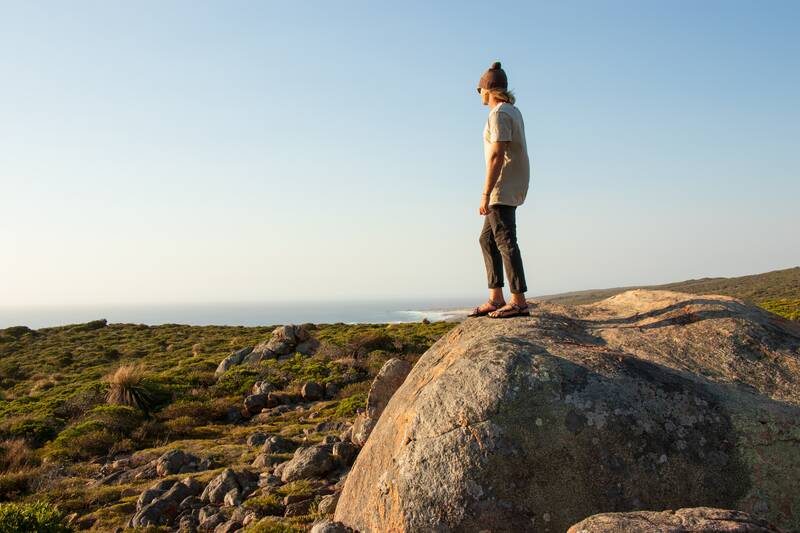 Shop our ARROWOOD COLLECTION AT AU.TEVA.COM and #LIGHTENUP on INSTAGRAM @TEVA_AUSTRALIA.